Looking for answers? They might be here. Check out some our Frequently Asked Questions from clients. If you don’t find what you’re looking for, then please contact us. You say you’re copy writing and editing specialists. What exactly is copy writing? Copy writing is a term that is usually used for the words you see in ads, but it’s also another way of talking about content development or writing, i.e. the words you see on a webpage, as opposed to the web design. My business is X. Have you ever written anything for this industry? Meerkat Communications has worked with clients in anything from bodyguarding to home health care to ergonomics, and many others in between. We may not have worked specifically in your industry before, but we understand and apply the best writing practices and principles to all our projects and we work with clients to truly understand who it is for, why they want it, and who should care. We ask careful questions, guide clients through the process, and ensure that all content targets the right audience, conveys the right message, and above all, makes you look good. Step 1: We ask you some specific questions about the purpose of the material, the primary use and audience of the material, what you like and don’t like in terms of tone and style, and who you’d identify as your main competition. Step 3: You have the opportunity to review the draft, add comments or queries, and/or talk to us directly about the draft. Step 4: We make any requested changes and send you the revised version. Step 5: If you’re happy with the 2nd draft, we do a final proofread and edit, and send it off to you. If you aren’t happy, repeat steps 3-4 until you’re satisfied. Step 6: We invoice you for the work. What do you charge for your writing and editing services? Our writing and editing rates vary on the amount of time we have to spend on each project. Our initial quote to you includes a free revision and edit and we work efficiently to ensure you stick to your budget. If major changes that were not initially agreed upon or discussed are then requested, we may have to charge you for more time. We will always let you know before we do this, however. Writing new web copy, for example, does take a lot longer than editing a short brochure, so contact us directly to discuss the specifics of your project and to work out the relevant rate. Search Engine Optimization refers to the process of using specific techniques such as including certain keywords and phrases in web content to ensure a website ranks highly on search engine results pages, and is thus effectively marketed to its target audience. The difference between Search Engine Optimization, Organic SEO, and Search Engine Marketing is subtle yet important. SEO can be divided into technical optimization (in the murky background of your website – in all that scary HTML or XHMTL code) , content optimization (the actual content/text on your website, as well as other elements like the descriptions people see if your page shows up on search engine results lists and the titles on the top of your pages), and link building (including links that take you to different parts of your site and take you off the site to other resources). Even though we’ll help optimize your site, we still abide by the number one rule of SEO: write for people, not search engines. What’s the difference between SEO and Organic SEO? Organic SEO is the process of improving the volume or quality of traffic to a site from search engines via “natural” or un-paid (“organic” or “algorithmic”) search results. What is Search Engine Marketing (SEM)*? Do you offer this service? Search Engine Marketing (SEM) refers to paid inclusion, paid placement, and contextual advertising. This is where you’ll hear terms like “pay per click advertising” and ” Google Adwords“. This is not a service we offer, but contact us as we know some excellent digital marketing companies that will be able to help. Not to get too technical, but what the heck is meta data? Yes and no. While we don’t physically do it ourselves, we’re able to offer you a full service, including web design, printing, and branding because we partner with the fantastic Sparktank Creative. Sparktank and Meerkat have worked on many projects together to offer clients high quality design and content. Similar to a mongoose (and actually a member of the same family), meerkats (with a ‘k’) or suricates (derived from their fancy Latin name Suricata suricatta) are small, ridiculously cute mammals. 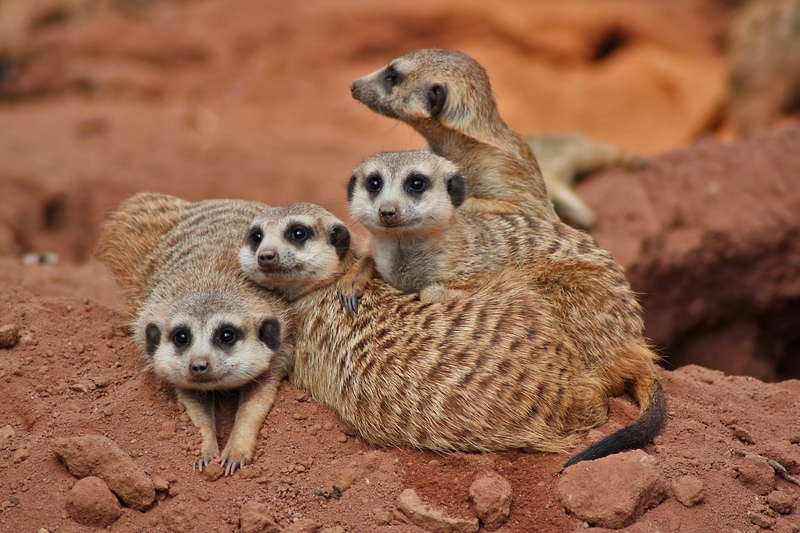 They’re found in Southern Africa (where our Director, Geraldine Eliot hails from) and were made famous by Disney in The Lion King, as well as Animal Planet’s Meerkat Manor. Meerkats tend to be altruistic and sociable, they communicate excellently, and are ridiculously cute. 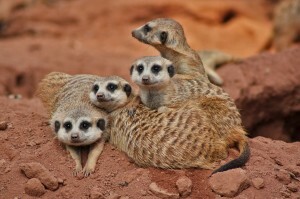 Just like us at Meerkat Communications. If you’d like to know more about meerkats, there’s lots of great information on Wikipedia. If you’d like to know more about our writing and editing services, then contact us instead.